The Wren’s Nest National Nature Reserve is world famous for its huge variety of Silurian fossils. Indeed, the town of Dudley has adopted a trilobite as part of its coat of arms – the trilobite, Calymene blumenbachi, was so commonly found by miners in Victorian times that they gave it the nick-name “the Dudley bug”. 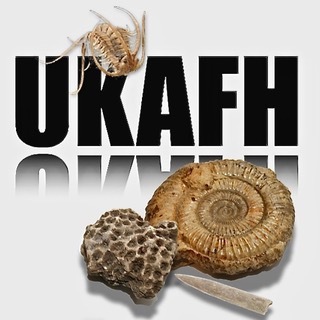 Over 700 diﬀerent types of fossil can be found here; 186 fossil species of which were ﬁrst discovered and described here and 86 are found nowhere else on earth. Wren’s Nest contains the most diverse and abundant fossil fauna found in the British Isles and the fossils are among the most perfectly preserved Silurian fossils in the world. Despite the frequency of visitors at Wren’s Nest, the constantly eroding rocks and build up of scree allows safe and productive fossil collecting. The site is ideal for children, although there are no toilet facilities within the site. At Wren’s Nest, there are so many fossils to collect that you will easily ﬁnd something to take home with you. Take your time and look at the loose material on the ground. Remember do not use hammers or other tools on the rock faces. Hammers are totally banned from this site, in any case. Fossils to be found include trilobites (especially Calymene blumenbachii-­‐ the ‘Dudley bug’), crinoids, brachiopods (some of the easiest fossils to ﬁnd on Wren’s Nest are brachiopods, such as Atrypa, Strophonella and Leptaena), corals, sponges, bryozoans, gastropods, bivalves (especially Goniophora and Pteronitella), criconarids, nautiloids a superb example of a Silurian reef ecosystem.